The Haenens have lived on Aruba since 2006, where Elie and his wife, Brenda, manage the two vacation homes and four long-term rentals they own. Elie is a true European bon vivant, who is fully enjoying the Caribbean life, together with Brenda and their two children. The two vacation homes, Villa HopiBon and Villa BibaBon. The Haenens are pleased and proud to rent them out. No request is too large or too small to help you enjoy your stay. Your hosts will greet you at the airport with refreshments. When you arrive at the villa, the refrigerator will have already been filled with food so you can directly start with your vacation. The Haenens live on the same street, so they are always readily available for advice and assistance, doing whatever it takes to make their guests’ stay a dream vacation. They start by making sure that each villa is sparkling clean when guests arrive, with all the comforts of home set up and ready to go. 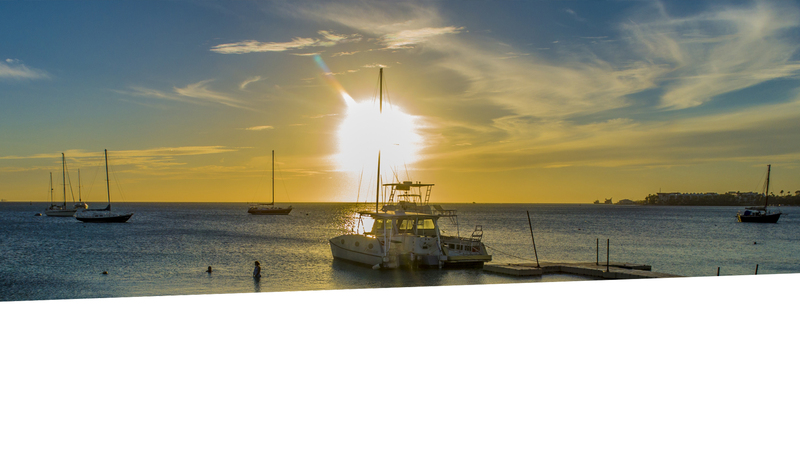 They know what it takes to make you feel welcome from the minute you set foot on Aruba, providing old-fashioned hospitality and taking care of your initial food and drink stocks. The Haenen family takes the motto “Bon Bini” to heart and views it as their duty for make your stay one big party! Come visit Aruba and enjoy a wonderful summer vacation, while getting to know the fantastically friendly Haenen family. They guarantee that you will have a fabulous time in world-class accommodations.